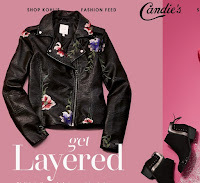 Is this what they mean by layered fashion? 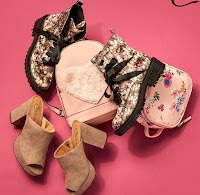 Floral shoes and floral handbags, layered on top of a floral print leather jacket. Thought this image was interesting as I captured two different fashion photos merging. Thought it created an interesting look so I figured I would post it. 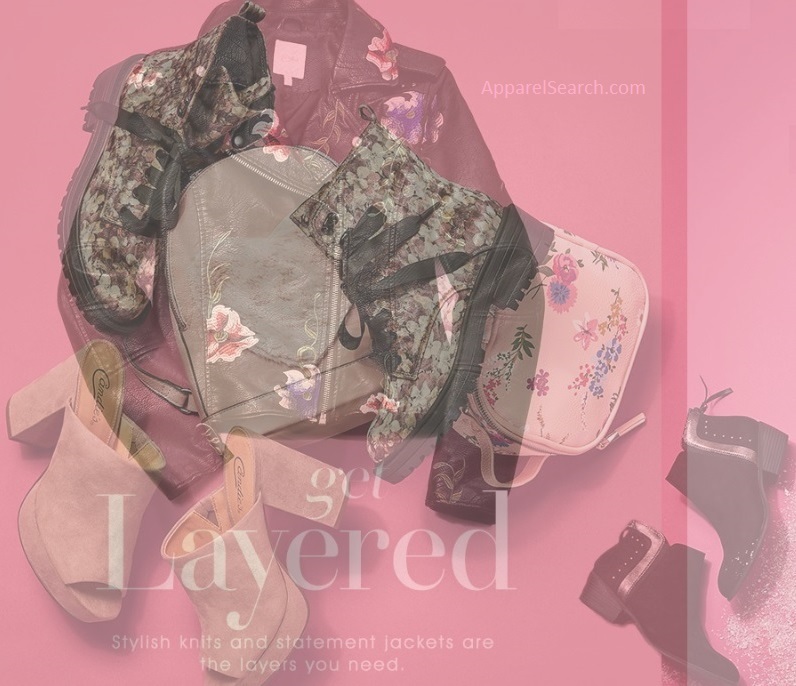 Typically, when discussing layering fashion, it would not refer to the layering of two photos. Just in case you are curious, here are the two original images. You can purchase the product at Kohl's. 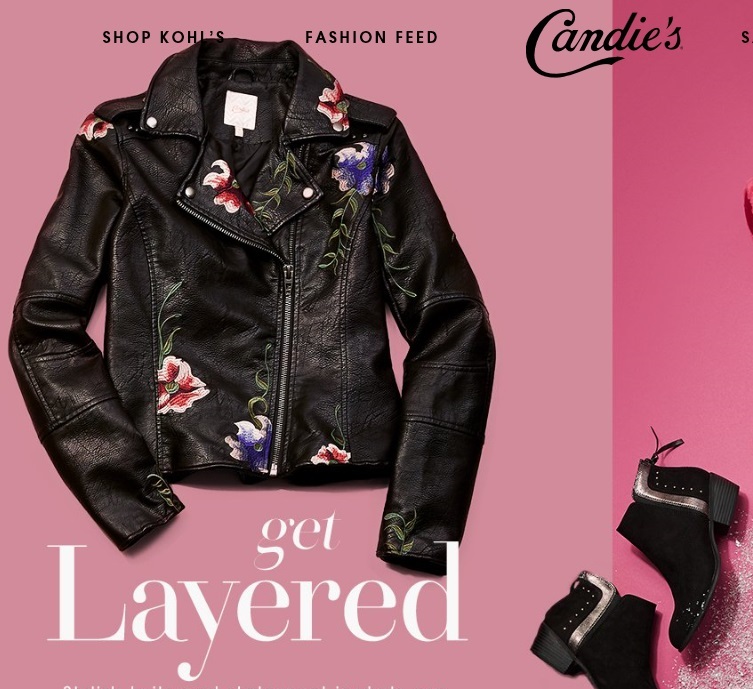 The fashion brand is Candie's. When it is cold outside, make sure to put on your layers to stay warm.